As of November 1, 2018 signed permits were issued and construction began on November 2, 2018. 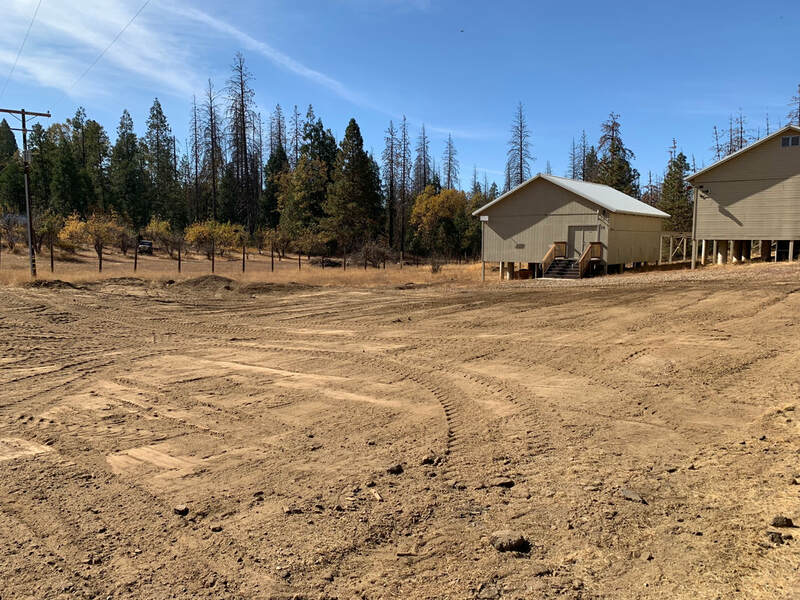 This construction project includes two large 30 x 40 foot multi-telescope observatories and one private 10 x 12 foot observatory at SRO. The larger observatories will each house about 12 telescopes (including larger aperture telescopes, such as the Planewave CDK 700 or 24" RC telescopes on equatorial mounts). Contact us at Info@SROservice.com for questions or availability. Also contact us if you wish to place a larger one meter class telescope, for which a dome or roll-off roof observatory can be constructed. 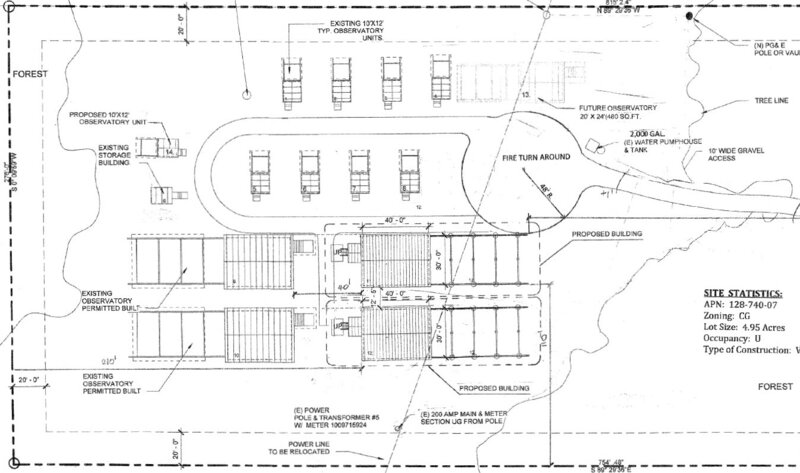 In addition we will soon begin construction of a machine shop with a large telescope work area and restroom. 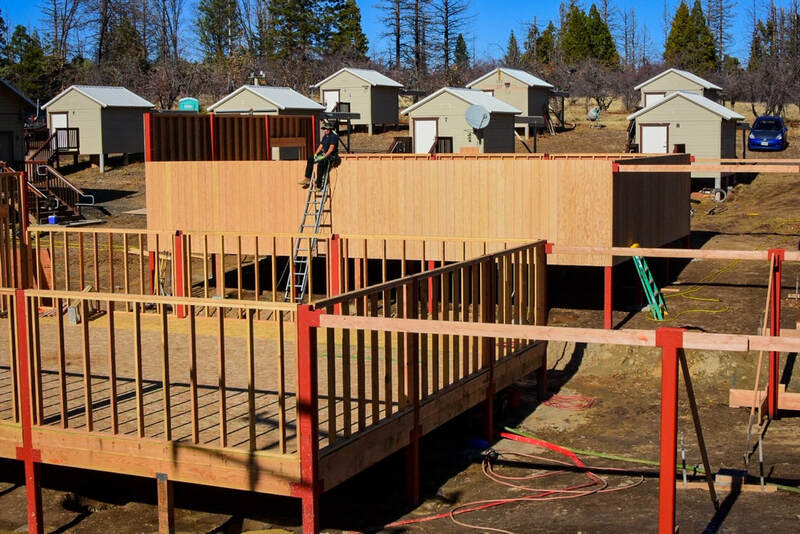 We will also begin work on a dedicated warm room with bunk beds, work area and a small kitchen. 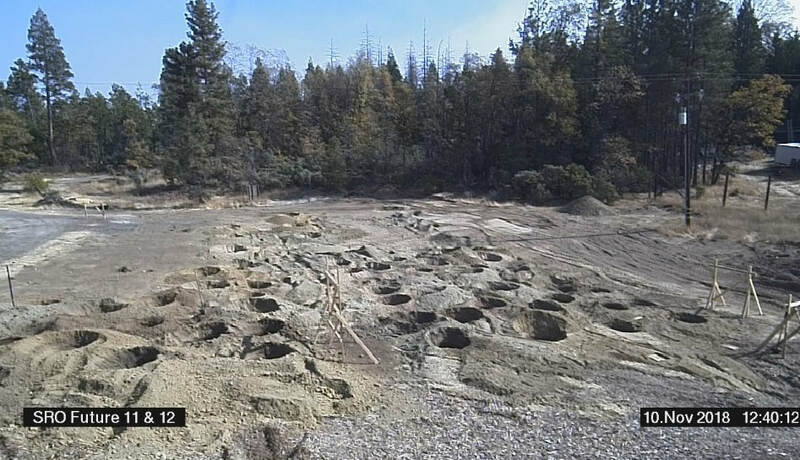 These important additions will be constructed as the large observatories are completed. As part of our continued commitment to infrastructure improvement we are planning to add generator backup to the site. Currently our clients and all SRO systems have battery backup, however, in the unlikely event of a sustained power black-out, SRO will be installing a propane or diesel back-up power supply in the next few months. We understand the importance of keeping power available so that our clients can continue with uninterrupted data collection, even during these rare events. 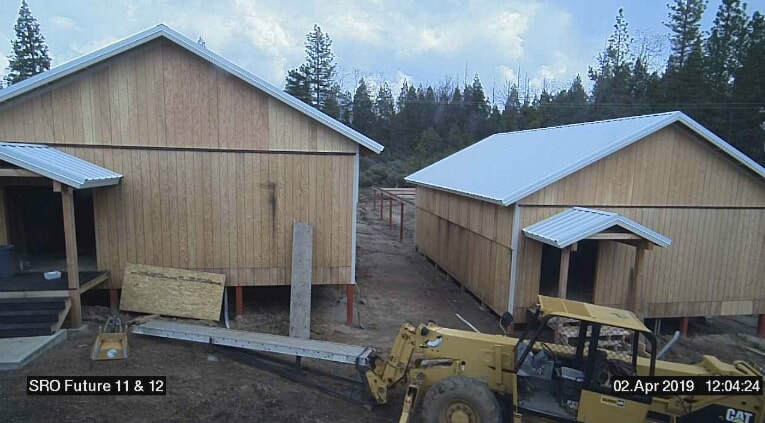 These additions will help bring SRO to the standards we envisioned when we first founded the observatory in 2006. As construction progresses we will insert images periodically. November 3, 2018: Breaking ground. Area for building 11 and 12 bulldozed and clear. 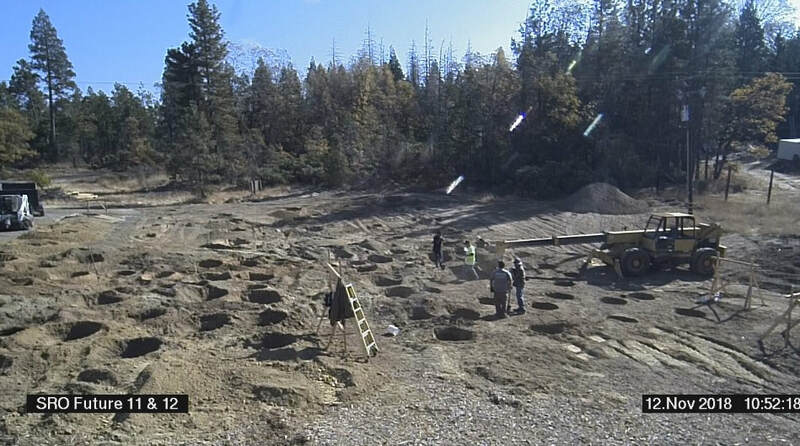 November 9, 2018: First row of foundation piers being dug for Building 11. 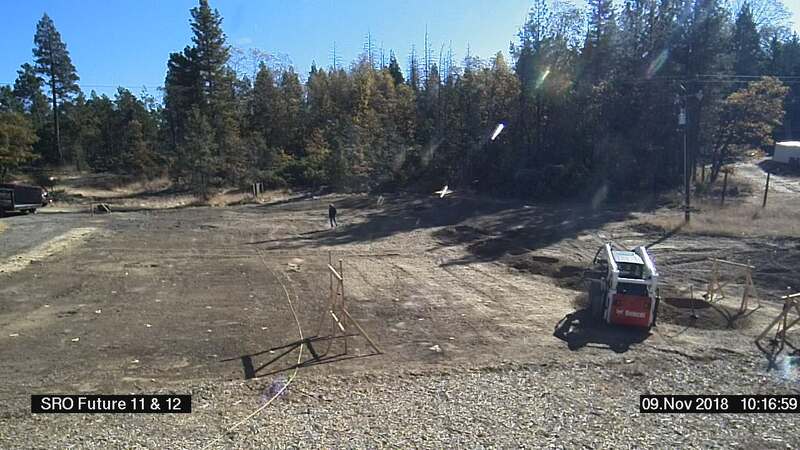 November 10, 2018: All the 6 foot holes for the building foundations and telescope piers have been marked and dug. Next the foundations will be poured. 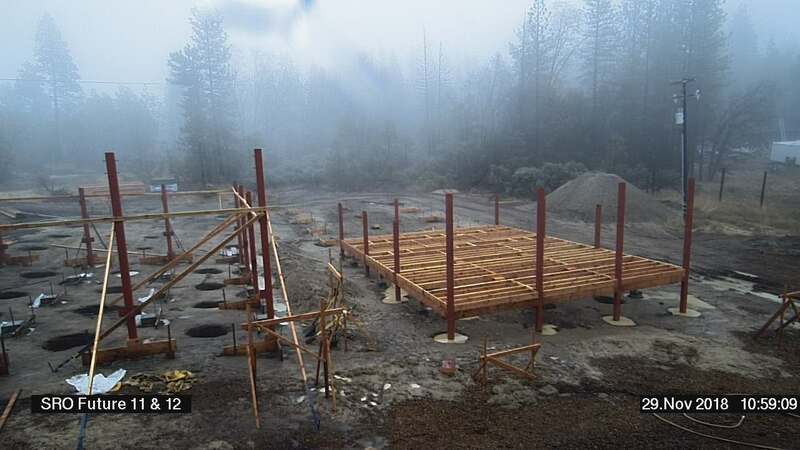 Later, the 6 foot deep telescope piers will be poured after the floors are built. 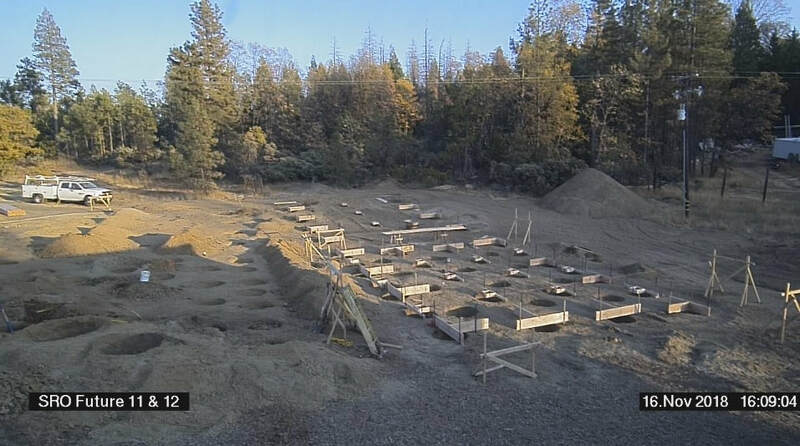 November 12, 2018: Preparing the foundation for pouring cement. Work is coming along very quickly. 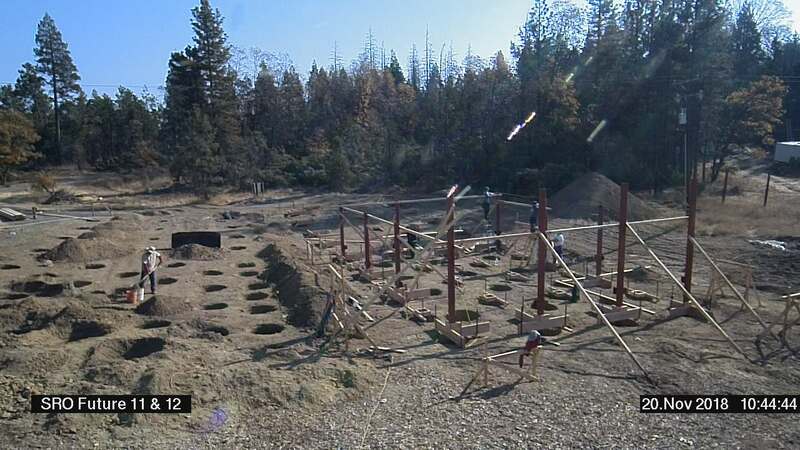 November 16, 2018: Foundation and telescope piers being readied for concrete. Concrete forms completed for building 11. November 18, 2018: First steel studs being placed via crane. The final structure will be 30 x 40 foot and steel has greatly added to its structural integrity. 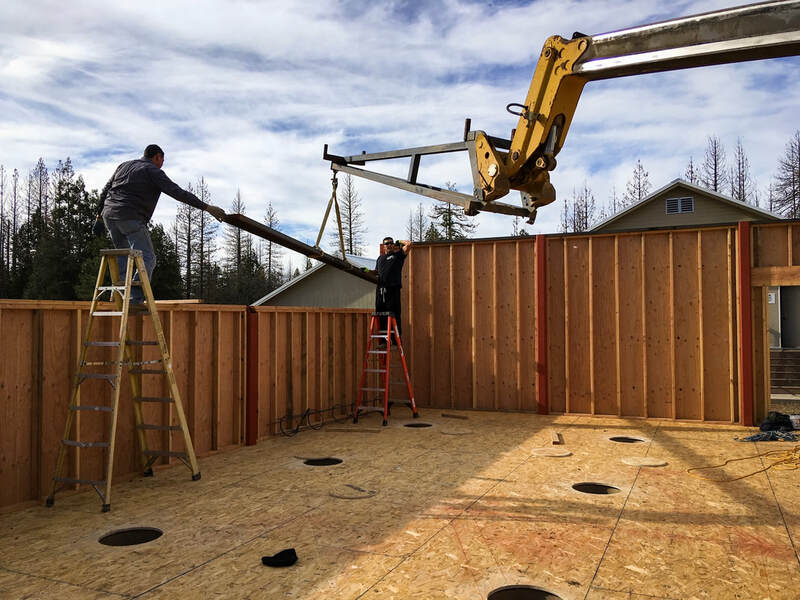 Note that we are pouring individual foundation piers which will support a wood floor, and not a single solid concrete slab. This decreases night time release of heat, which in turn helps preserve the local seeing conditions. November 20, 2018: Steel wall studs in place for building 11 and will soon be placed for building 12. November 20, 2018: Close-up of steel struts. 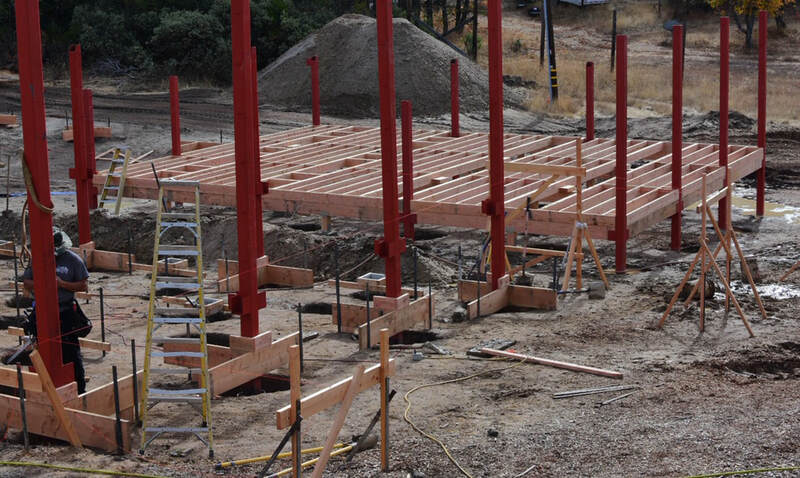 Floor height can be seen by steel joist attachments. Should be pouring cement very soon. 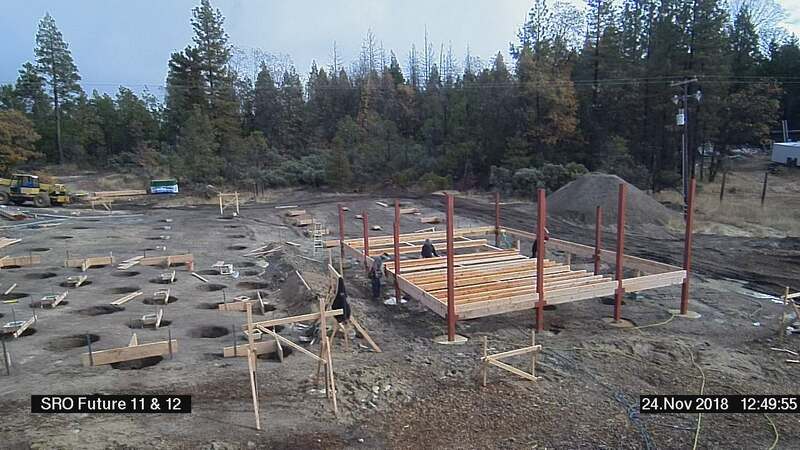 November 24, 2018: Floor under construction for building 11 and foundation being prepared for studs at building 12. Construction moving along at a good pace. 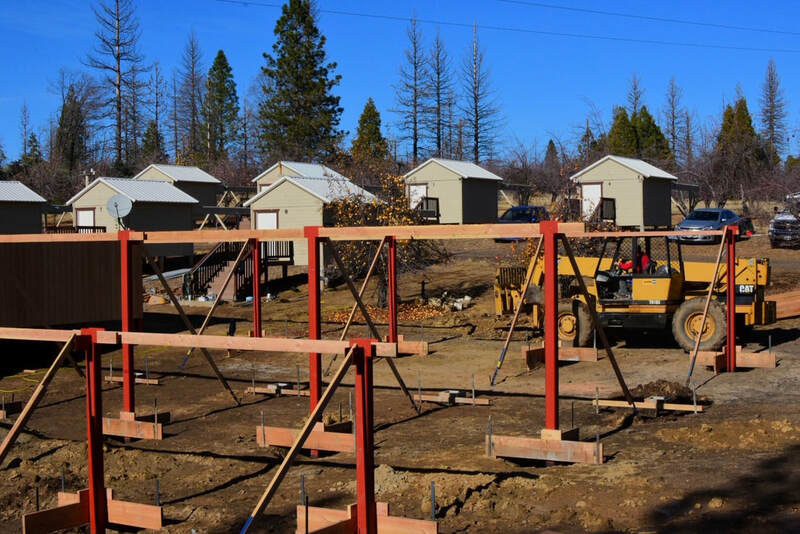 November 27, 2018: The floor joists of building 11 are completed and stud foundations for building 12 are ready to be poured. Once the floors completed work can progress throughout most of the winter. We hope to be operational by mid-spring. November 29, 2018: Even SRO has a foggy winter day now and then. Fortunately the stud foundations for building 12 were poured before the rain. 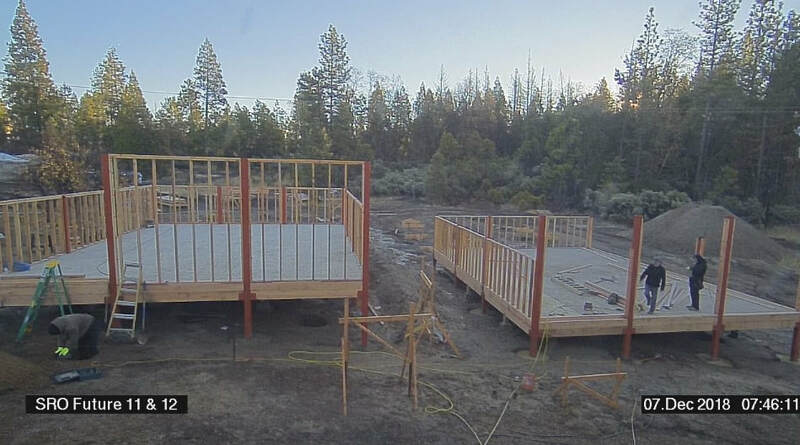 The floor joists for building 12 will be up shortly. December 2, 2018: Our first snow. Just a dusting. Hopefully we will not see enough to slow the project down. The project is moving ahead of schedule. 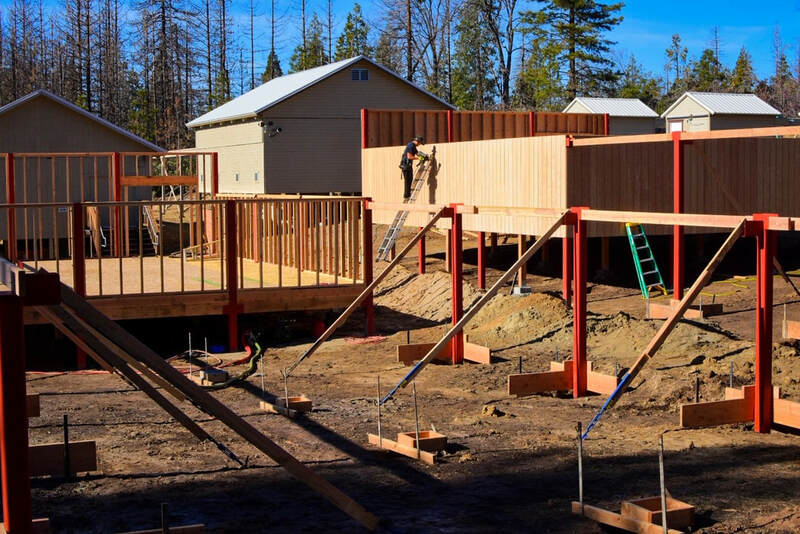 Walls are going up and we anticipate construction will continue throughout the winter months. 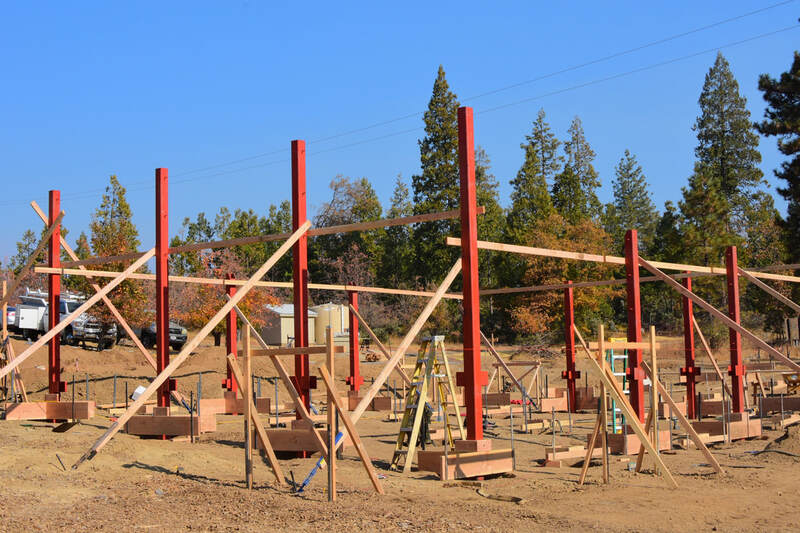 December 12, 2018: Walls now up for building 12. Rails up, off to the east, for the roll off roofs, as well. Note that the floors are wooden with no concrete slab, to decrease PM thermal contamination. Also, floors build off the ground for the purpose of clearance for air circulation. December 12, 2018: View of steel beams for the roof rail system. The walls are up in building 12. The two original multi-telescope buildings, buildings 9 and 10, in the background. 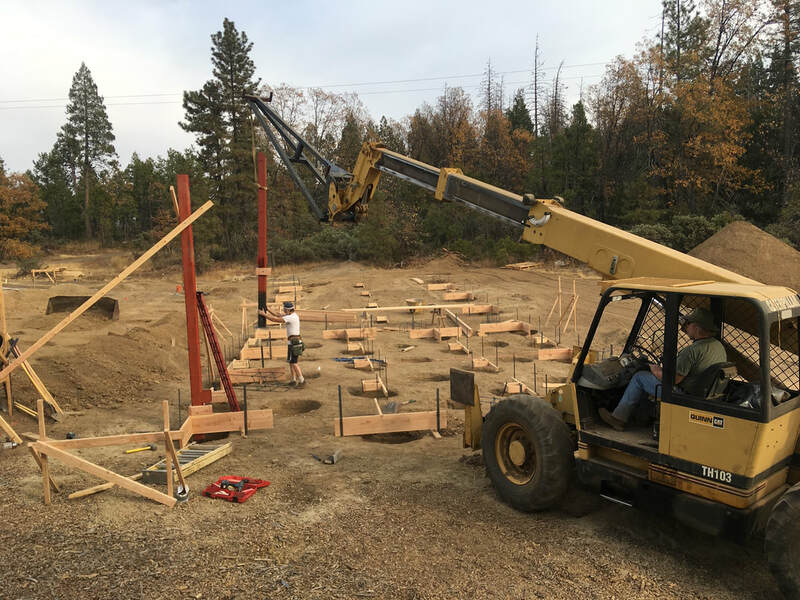 December 12, 2018: Steel beams and framework for the roof rails. Original 8 private telescope observatories in the background. 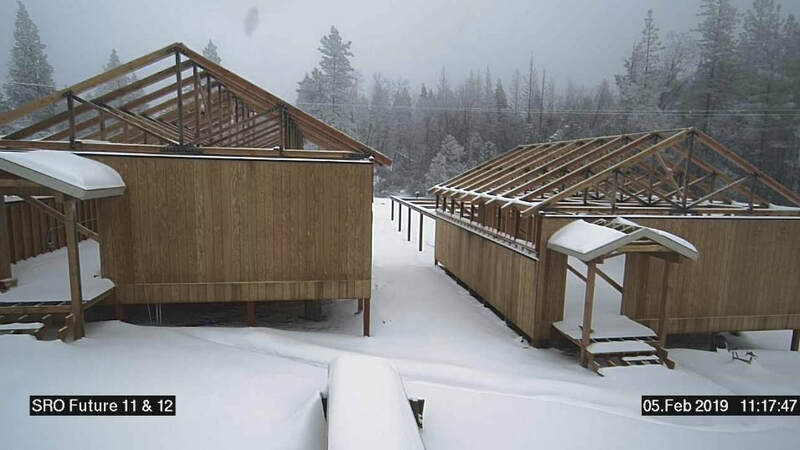 December 20, 2018: Top of the East-West walls being prepared for the roof rails. Telescope pier sites being prepared for pouring of concrete. 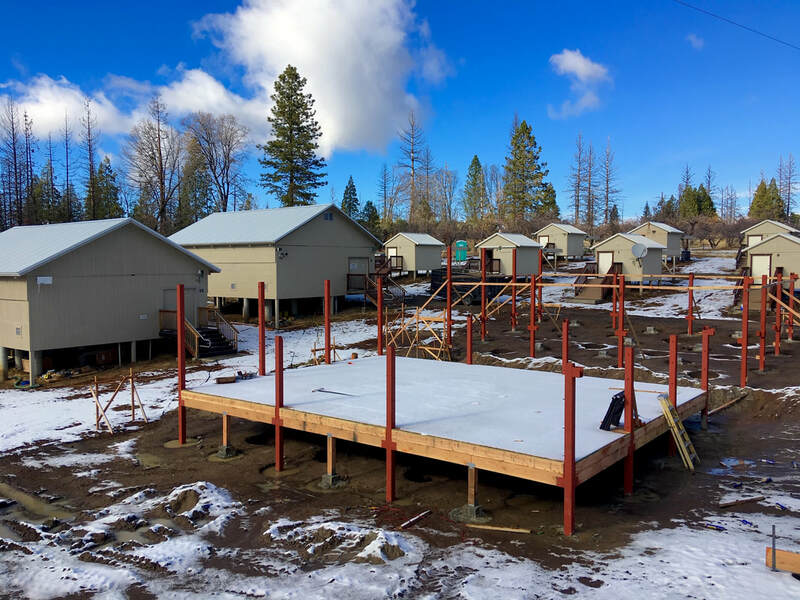 December 31, 2018: The 12 base plates in place for building 12. These are each affixed to 6 foot deep cement piers. They are leveled, pointed to true north and have both a Software Bisque and SRO proprietary 5/8th inch threaded bolt pattern. February 3, 2019: The rails are welded in place. The roof and wheels are attached. This is the largest roll off roff we have built at SRO to date, and one of the largest, perhaps the largest, roll off roof observatory yet made. The roof base is 30 x 40 foot in size. 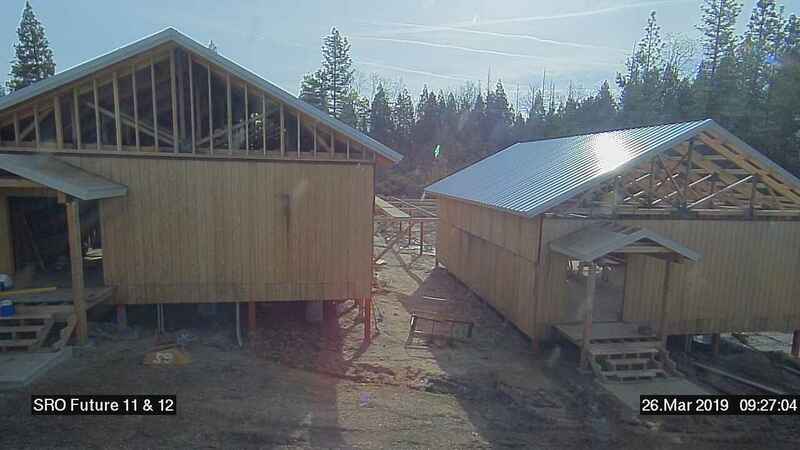 March 26, 2019: The roof is up on both buildings. Weather clearing and we expect the pace of construction to pick up significantly. Trenches for power and internet have been completed. 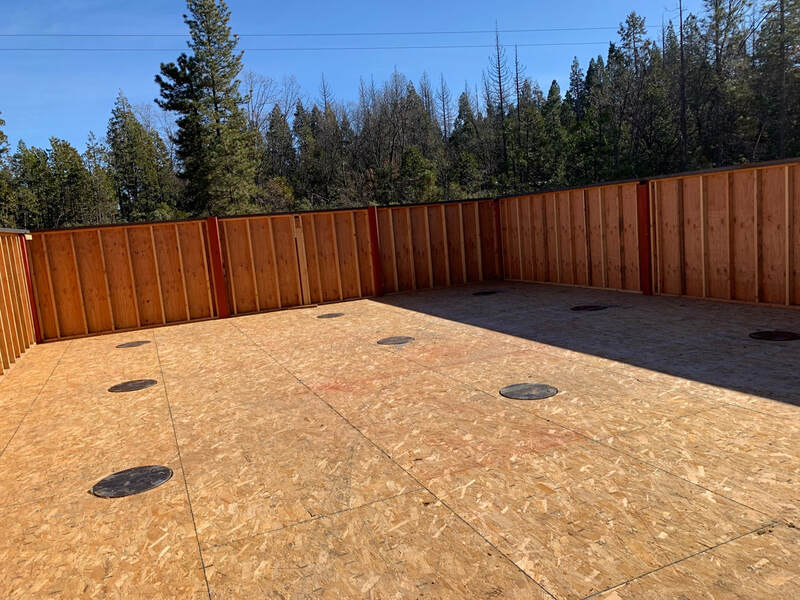 April 2, 2019: Roof and walls completed. Electrical being run and ethernet to follow. Project is on track for completion late Spring or early Summer. Power lines currently overhead of buildings 11 and 12 will be moved by PG&E next week. A few tree's in filed of view of the buildings will be removed as well. This will result in unobstructed views to better than 20 degrees.